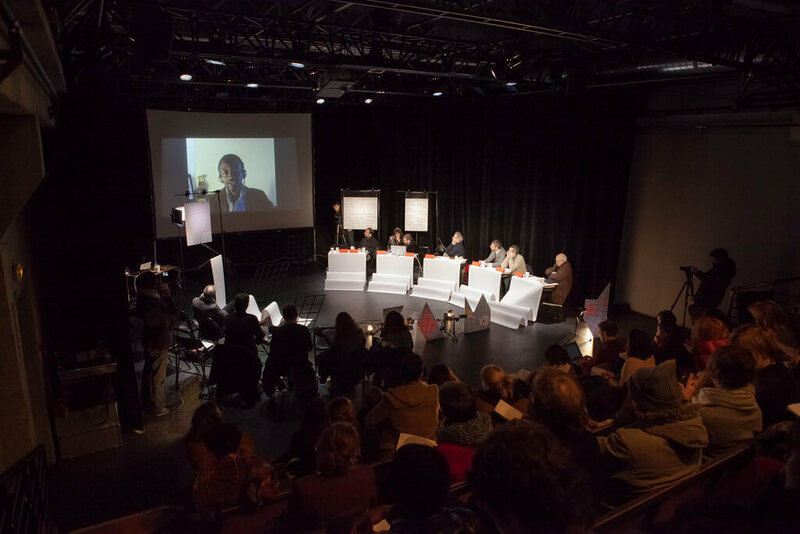 This round table at Le Cube – independent art room takes place the next day after the conference of le peuple qui manque at the Institut Français du Maroc. In the Miroir d’Hérodote, François Hartog spoke about rhapsody. This poet of ancient Greece is a narrator who goes from one city to the other, to recite poems written by others. He is, literally, like a person who sews spaces to each other; a liaison agent who is preoccupied by continuously linking spaces, in the limits of the inhabited world. Rhapsody could be seen like a curatorial act par excellence, a weaving of narrations and stories. It is also the narrative principle underlying a film, in progress, Les Impatients. It is a chrono-political series that takes the form of a quest on a world-wide scale, a global – but not totalizing – cartography of many signs of the future that emerge here and there. This meeting is organized in partnership with the Institut Français du Maroc.